I started with this one last week already, but time was not my friend and my actual job demanded some time from me too (2 days of my leave was cancelled as my boss wanted me back at the office to help out with some issues. 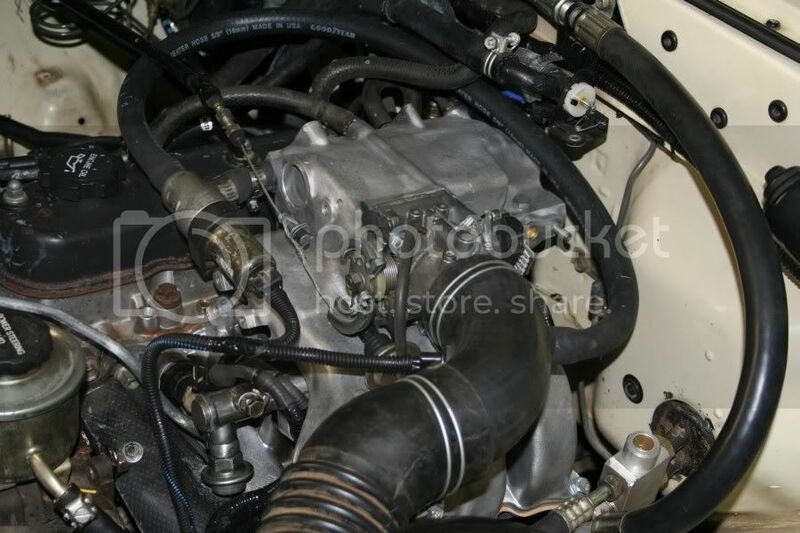 It will go to the dyno 2morrow. Here are some pics I took as I went along. 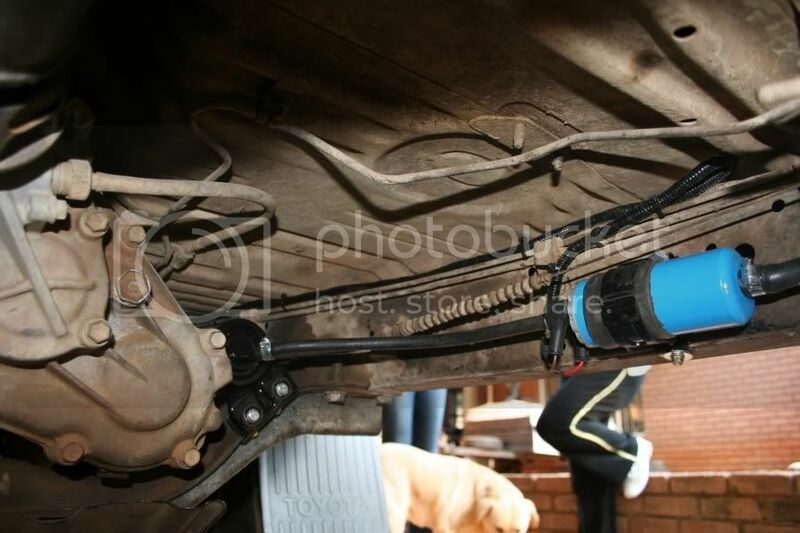 First I started with fitting the Dicktator and pulling the harness through into the engine bay. 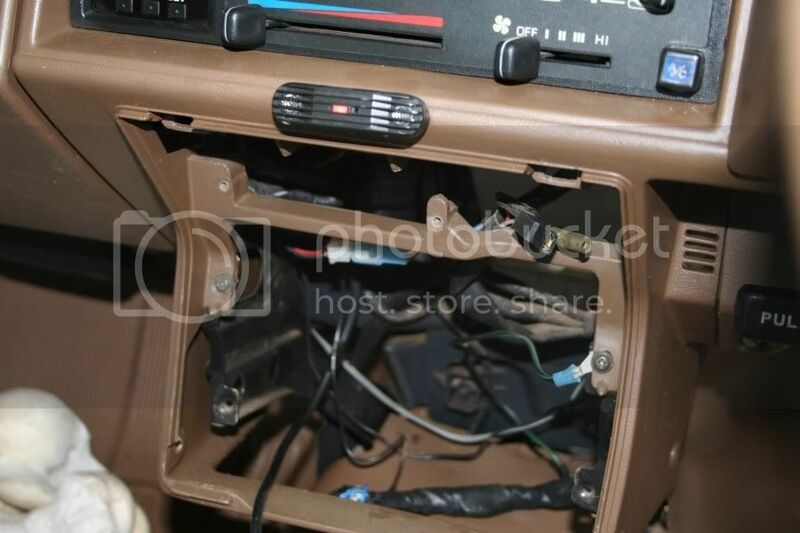 I used the same place I used with Bulldog as I feel it works best to router the harness through to the radio console. I used a hole punch to make a hole in the existing plug so that it can become the grommet for the harness to go through. 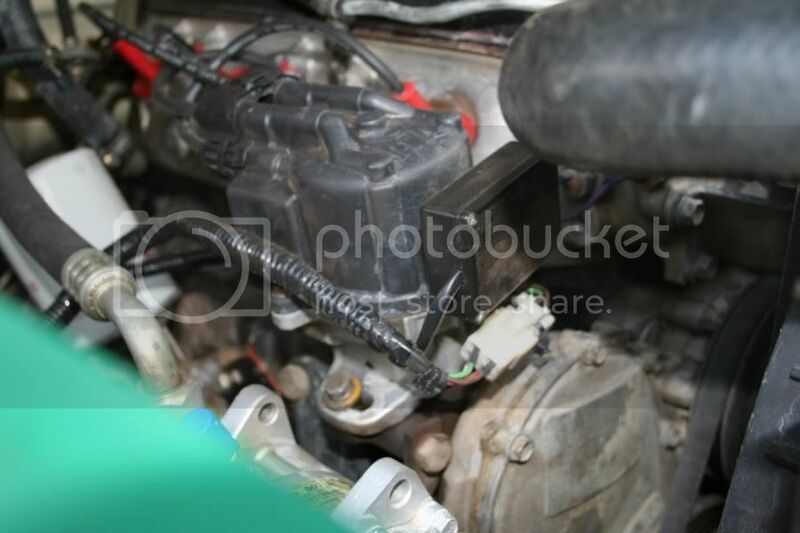 I used a piece of wire to pull the harness through into the engine bay. 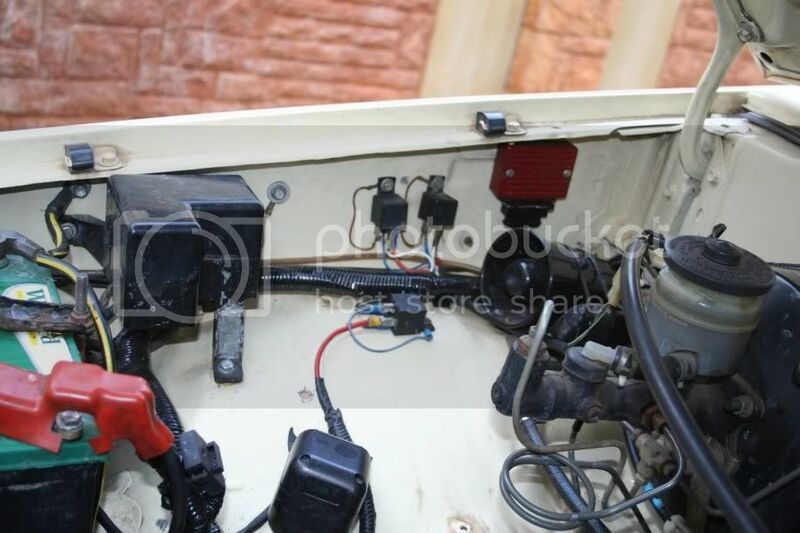 ECU was fitted in the same place as Bulldog. 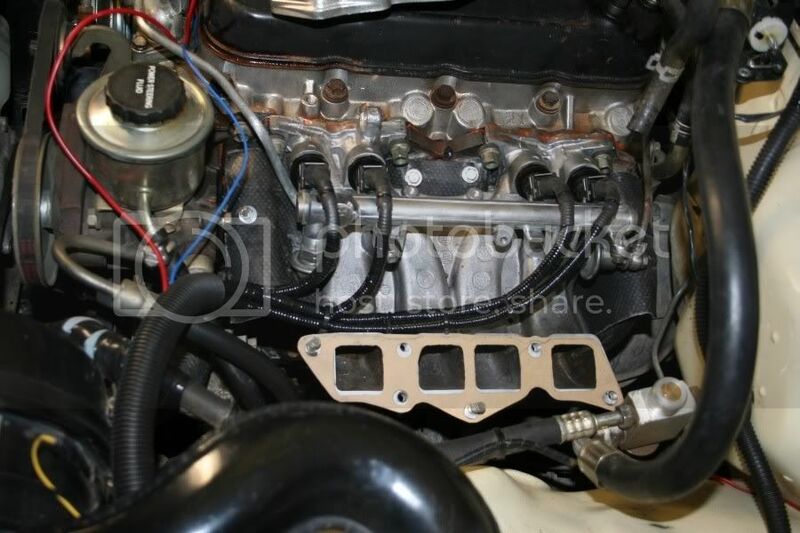 The harness is then separated and routed in ribbed sleeving to the appropriate places in the engine bay, i.e. 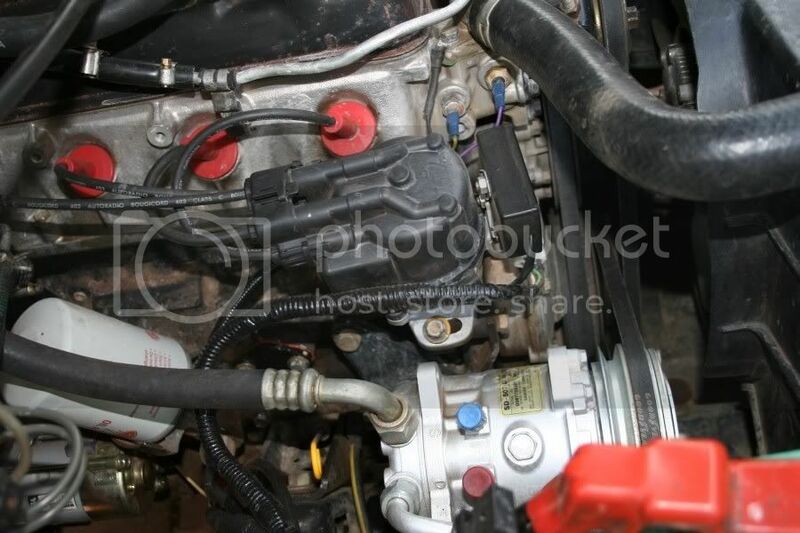 the ignition system and water temp sensor's wiring goes to the right side of the engine bay (left on photo) and the injectors/IAT sensor/ ICV valve goes to the left side of the engine bay and the fuel pump's wiring goes down to the chassis. 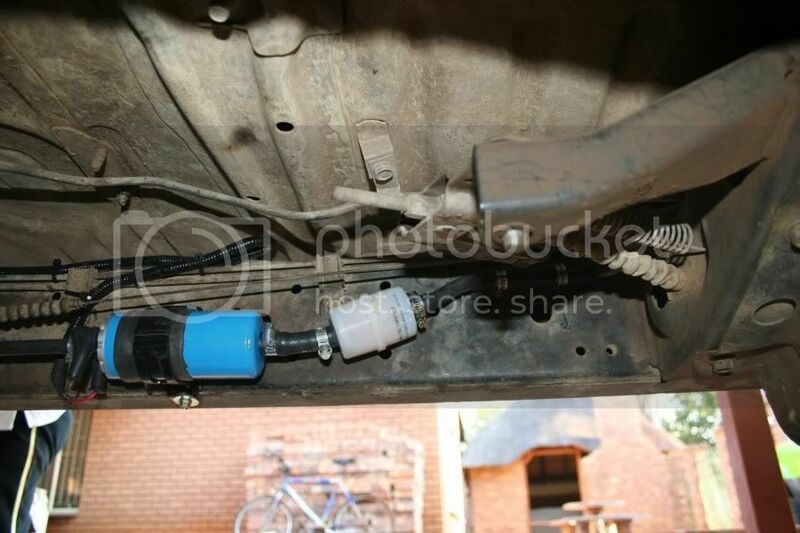 4x4 Megaworld Menlyn supplied me with some nice off cut pieces of the blue pipe the normally use with the ARB Air locker, to between the Plenum and the ECU for the map sensor, thanks Louis I routed that via the same hole in the firewall were the heater cable goes through. 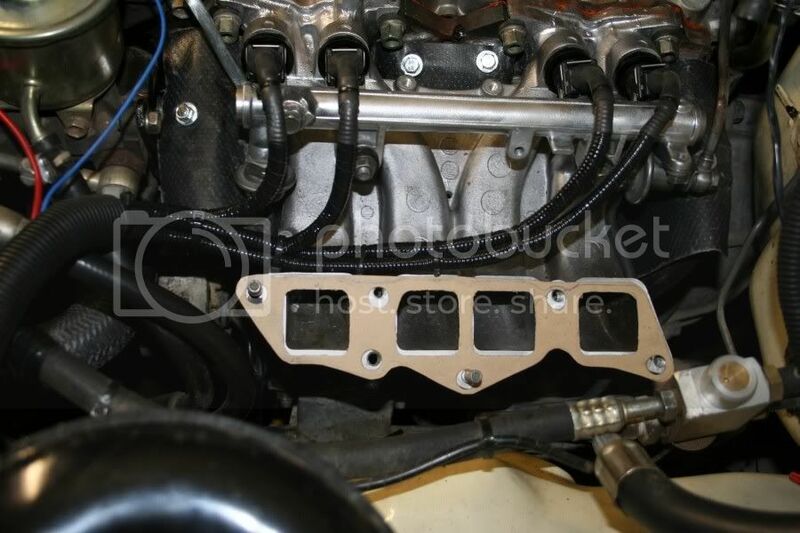 The manifold was panelbeated to clear the Intake manifold and I sommer had nuts welded on to secure the heatsink. I can't wait for the Final Result!!!! I have test driven it on Tuesday evening and was already in love with my truck all over again!!!! 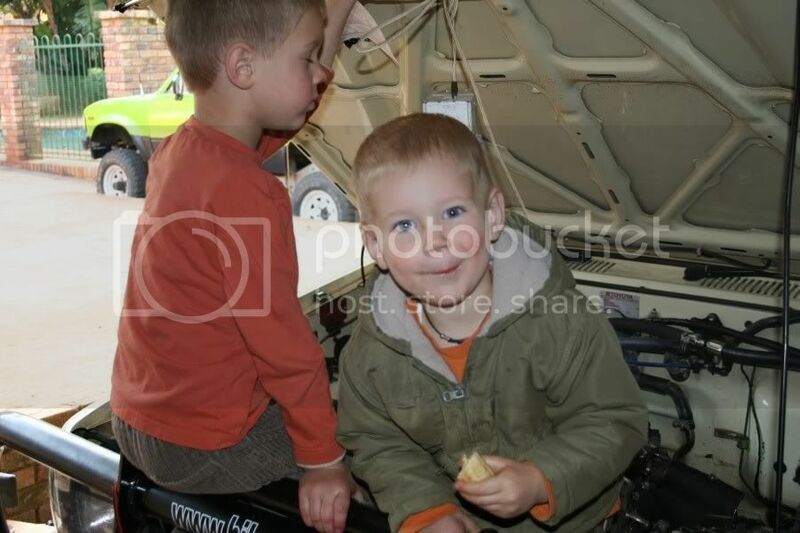 Bennie is at this moment on his way to me now with your Hilux. We conferred, and decided that I should test drive it for 6 months to compare it to Bulldog. Its fine as long as you lend me White fang for the time I am sure we will be able to work something out!!! To continue from last night. This heat shield works very well except that the metal inner is razor sharp so I ended up with a few cuts on my hands after wrestling with the beast . I was sceptical at first when I saw how thin it was, but the guy at Autozone assured me is works well. Well today at the dyno whet the branches were red hot, I could still touch the heat shield for more that a second without burning myself, and after a few seconds when the manifold stopped glowing I could keep my finger on it for almost 5 seconds. 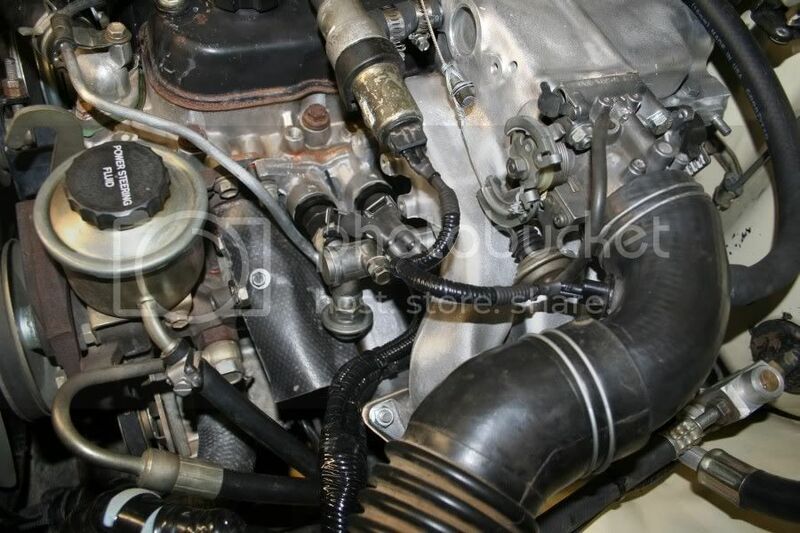 I buy new plugs that fits onto the injectors as the ones we get with the kit we buy is normally shot. The wires are all wrapped in 7mm ribbed sleeve and then taped up to get it water tight. The edges were sealed off with heat shrink. 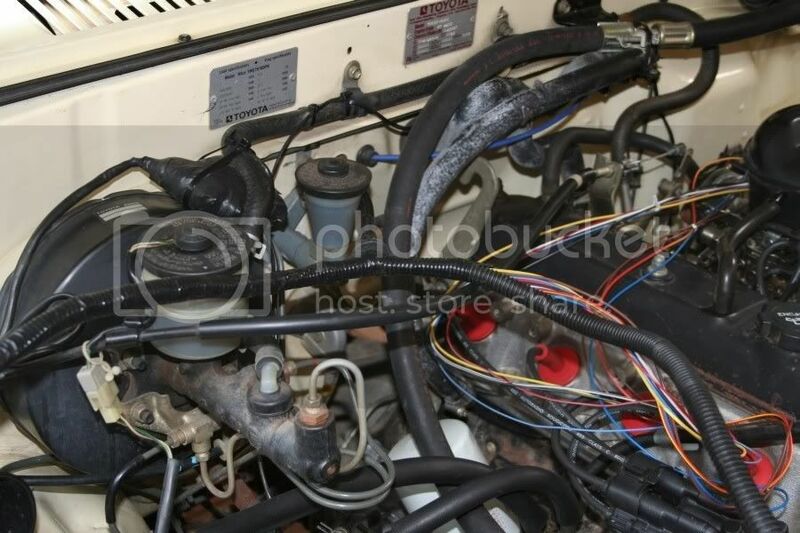 I then run my wiring to the front and out to the side of the engine bay. I feel this is the neatest since you do not have many different wires going in many directions and the loom is mostly out of harm's (and heat's) way. 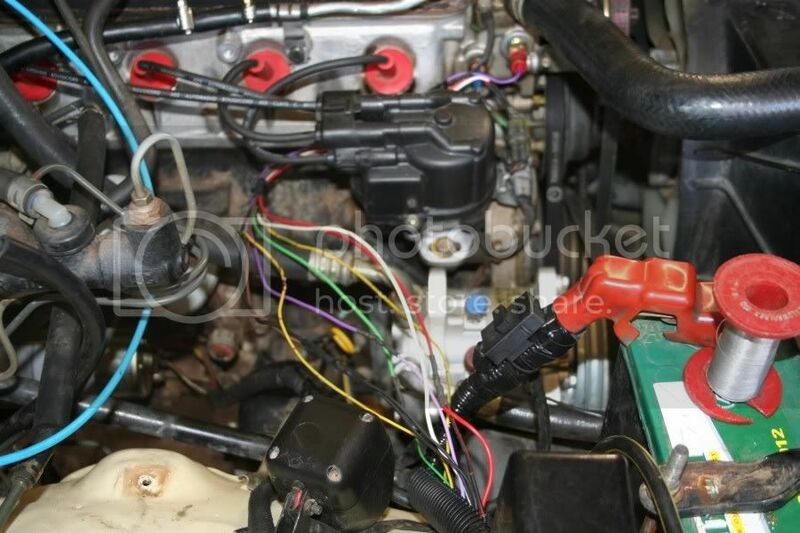 On the other side of the engine bay the wiring for the ignition system. 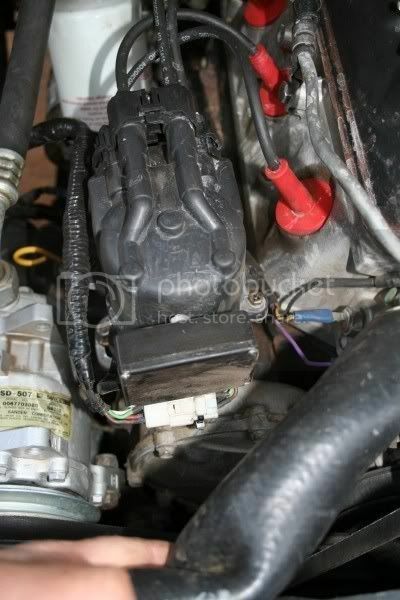 This is the fuse I fitted for the main power to the fuel relay for the fuel pump, injectors etc. 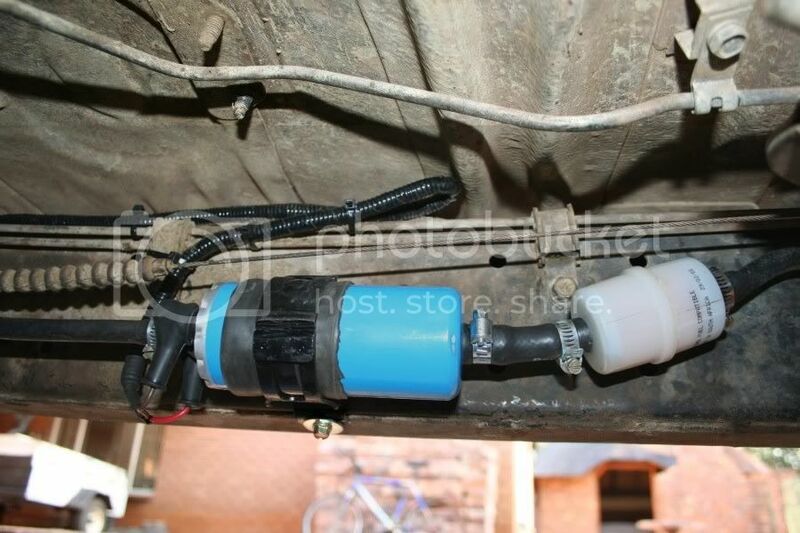 Doing the plumbing for the fuel system is a bit of a challenge making the different diameters fit. 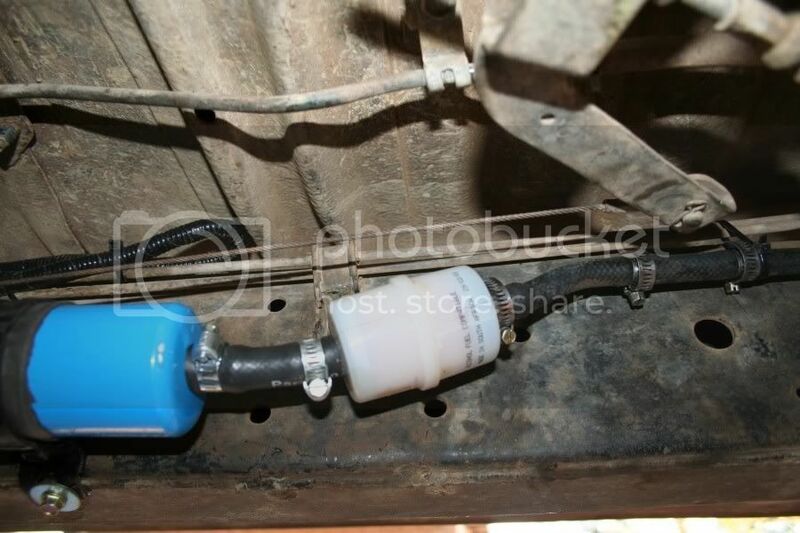 The fuel pump's fittings is 12mm in and 6mm out. The steel pipe that was cut coming from the tank is a 6mm pipe. I connected a 8mm rubber pipe to it, which is clamped down securely. The overlap of the rubber onto the steel is about 5-6 cm and I used 2 clamps just in case as this pipe do not have a collar. 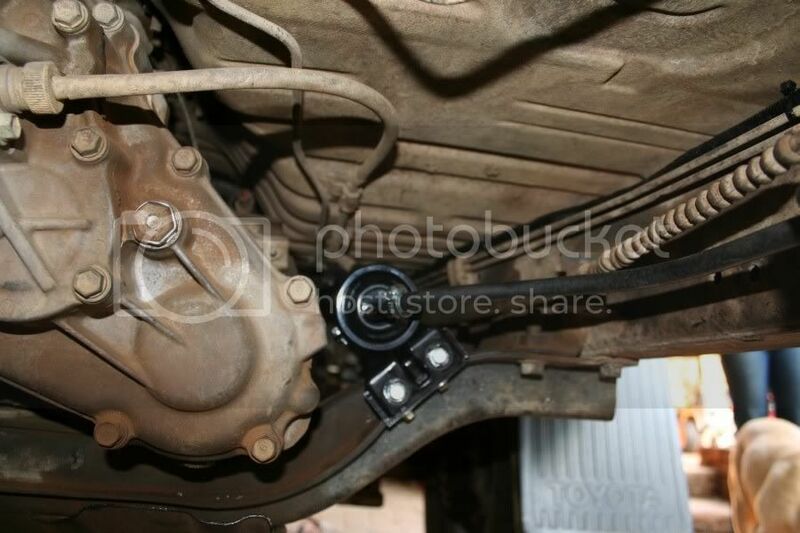 The other side was fitted to a 10 mm low pressure filter. 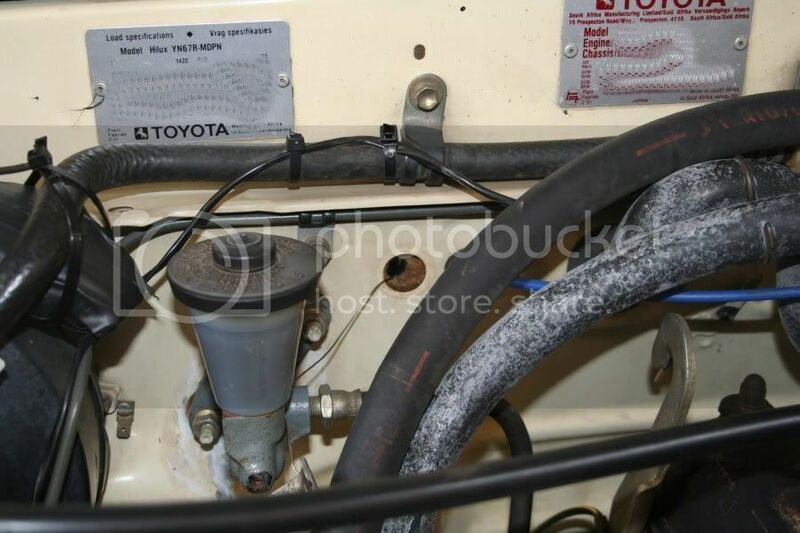 From there a 10mm pipe goes to the 12mm inlet of the high pressure pump. From the pump a 6 mm pipe goes to the 6mm HP filter. I am not sure exactly what filter this is as Johan supplied it, but it came with a bracket already. All I did was to cut the bottom hole off (the bracket had 3 holes in a triangular shape) and then I used a piece of angle iron to make a bracket that fits it onto the cross member. 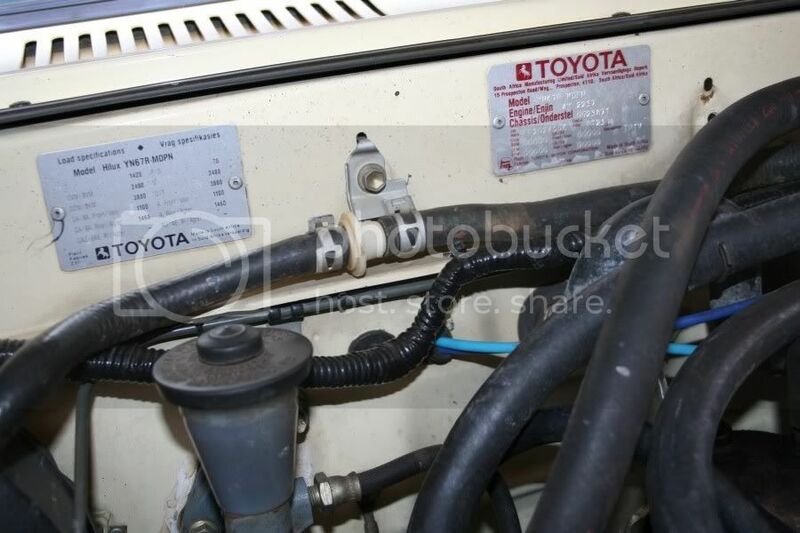 As with Bulldog I used the bracket that held the original HP filter to the side of the engine (where the mechanical Fuel pump is situated on the 4Y) to fit the HP fuel pump to the side of the chassis. 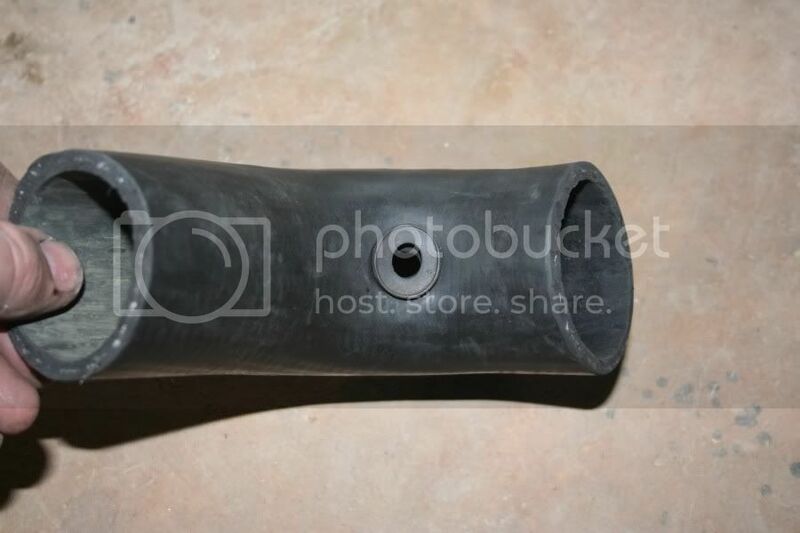 I wrap the pump with a layer of rubber (cut from a bicycle tube) to try and limit the sound a little. As usual my technical advisor's /quality control inspectors were there to keep a close eye to make sure daddy did not make any mess ups. 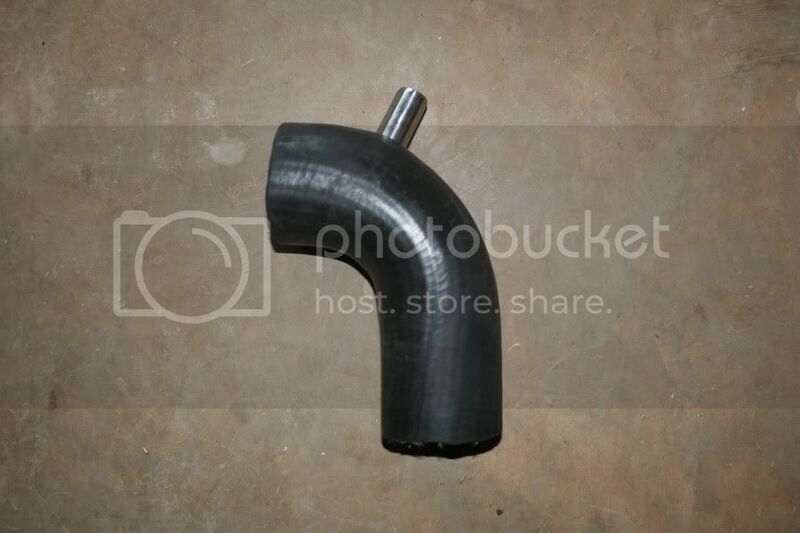 Johan found this very huge radiator hose (approx 58mm ID - 66 OD ) to use to connect up the throttle body (60mm ID) to the existing air pipe (aprox 67 ID) so it all worke out very well. 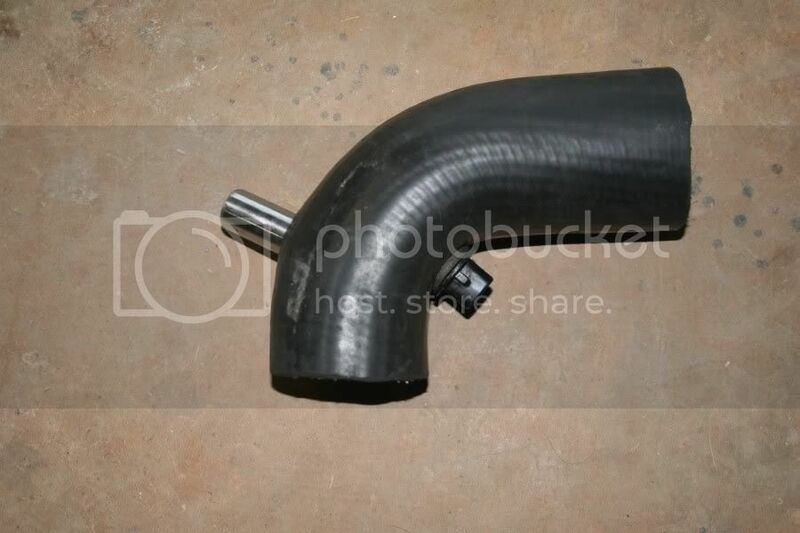 I just had to cut off the excess pipe on the sides, stretch it slightly to fit onto the throttle body and voilÃ . 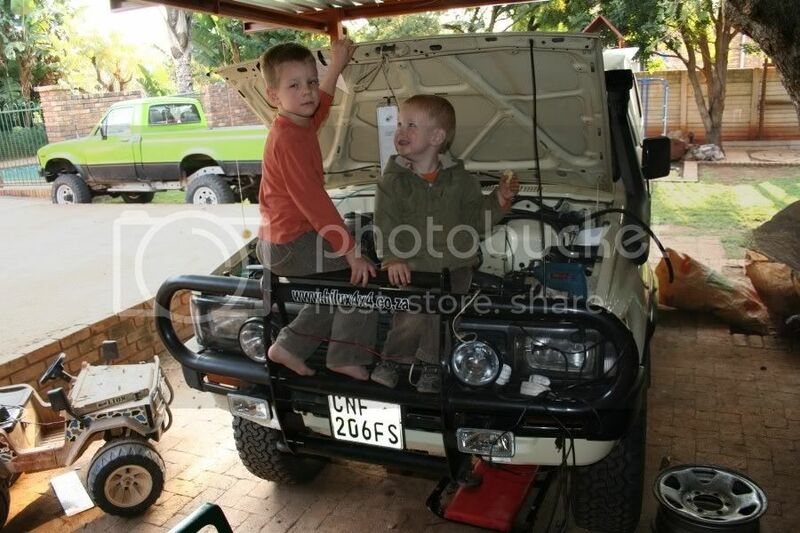 Ja ja I know the petrol cable, did not have time to have a new cable made yet. 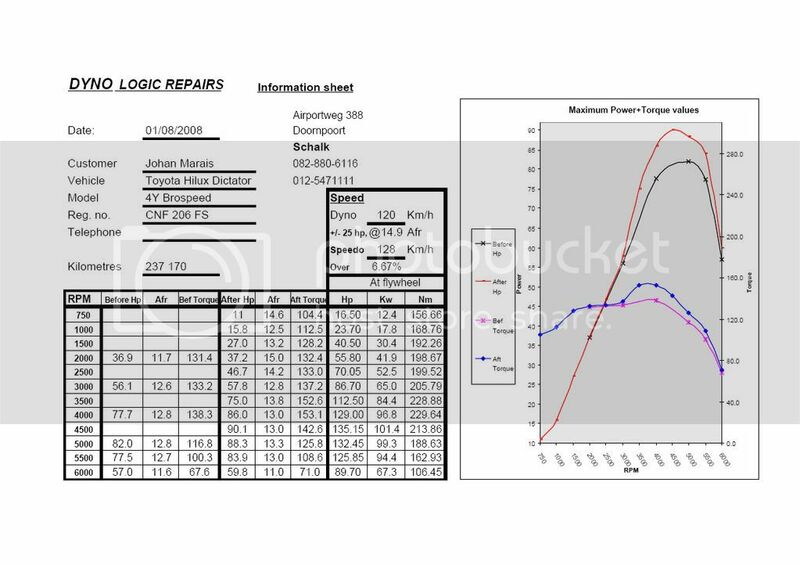 The before run on the carb is is the black and pink lines and the EFI run is the red and blue lines. 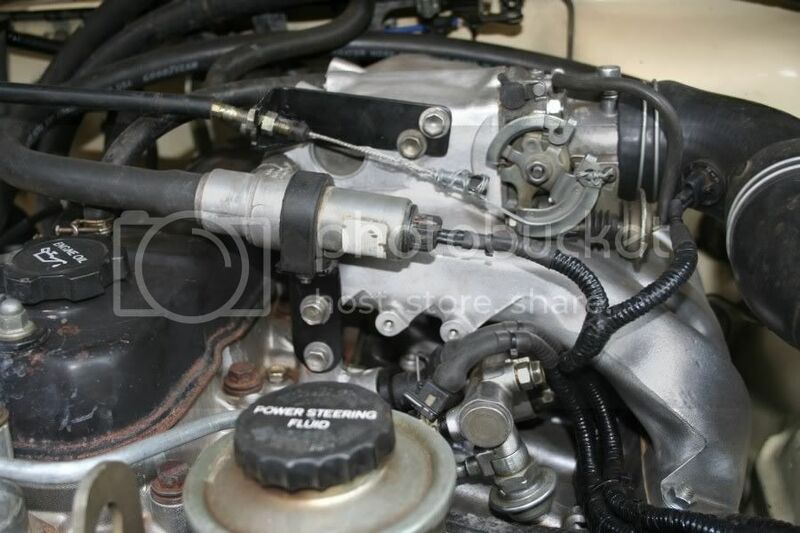 The significant increase in power is above 3000 RPM. 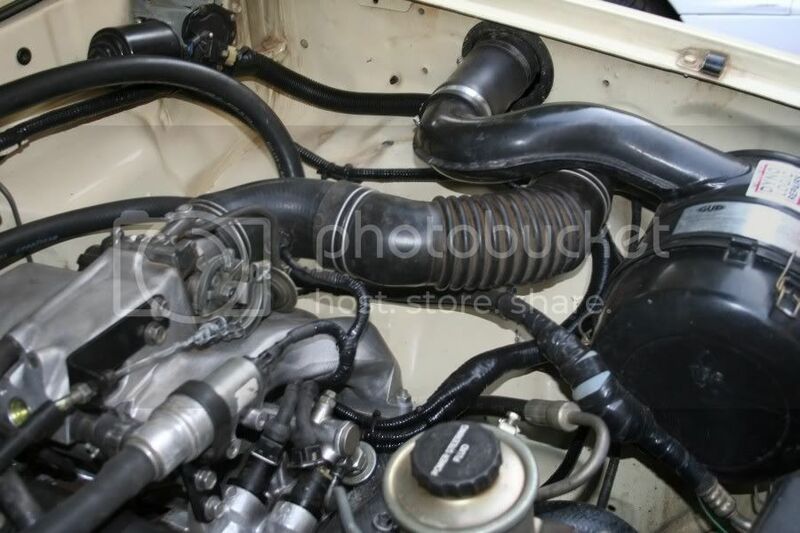 In all fainess with Johan's supped up head and cam in this baby performed better (power wise not economy) with its carb then most 4Y's will do with EFI. But the trade off for the increase in power on top is a loss of torque at the bottom end which will be seen when you want to crawl up those steep inclines using the ICV like Bulldog and Louis van can do so easy. 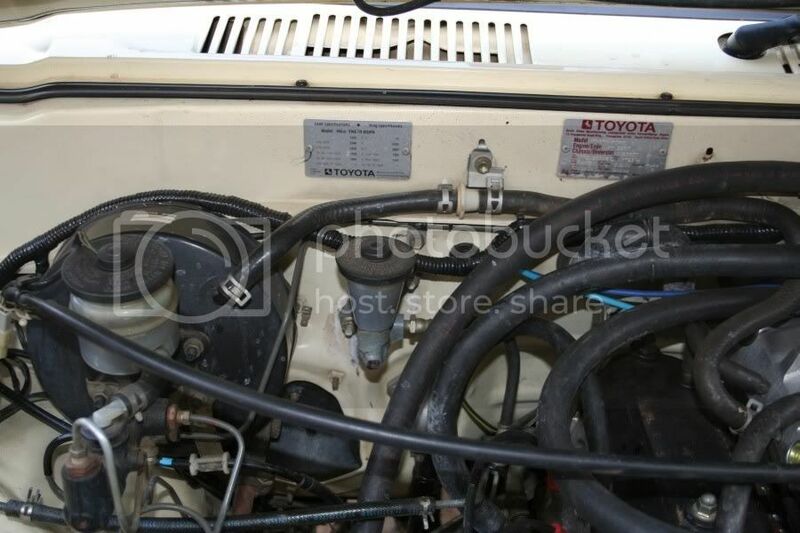 But the significant gains can be seen if one compare the carb with EFI in terms of Air Fuel Ratio. 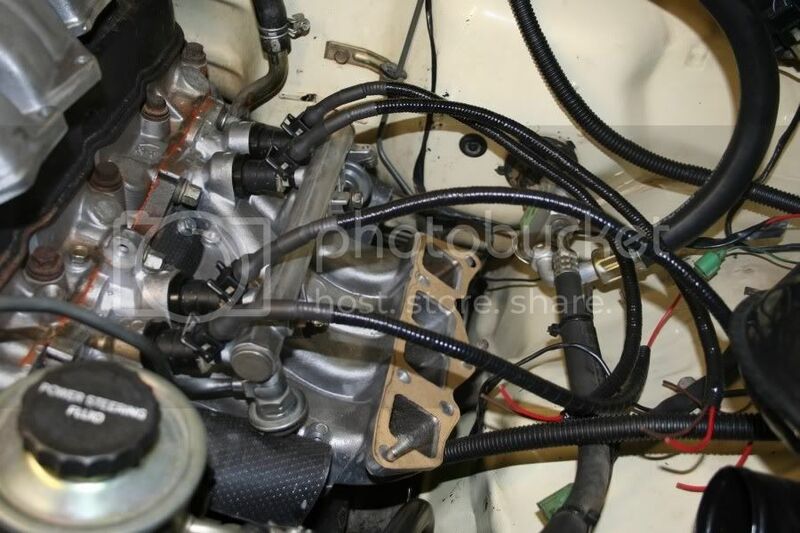 The Carb even though it was a good condition Nikki with all the original vacuum's etc, proper jetting according to the brospeed specs of the head and cam was still over fueling significantly. The throttle response from idle speed upwards is immediate and so smooth. Even Schalk mentioned afterwards when driving this that this is the best performing and smoothest 4Y he has ever driven and it now holds the record as the most powerfull one that Schalk did too, his previous best I could find scrolling through his dyno sheet archive on Hiluxes (4Y and 22R) was 86 HP on another 4YE with a hot cam/head/branches/freeflow. Today I did some final rounding off work. 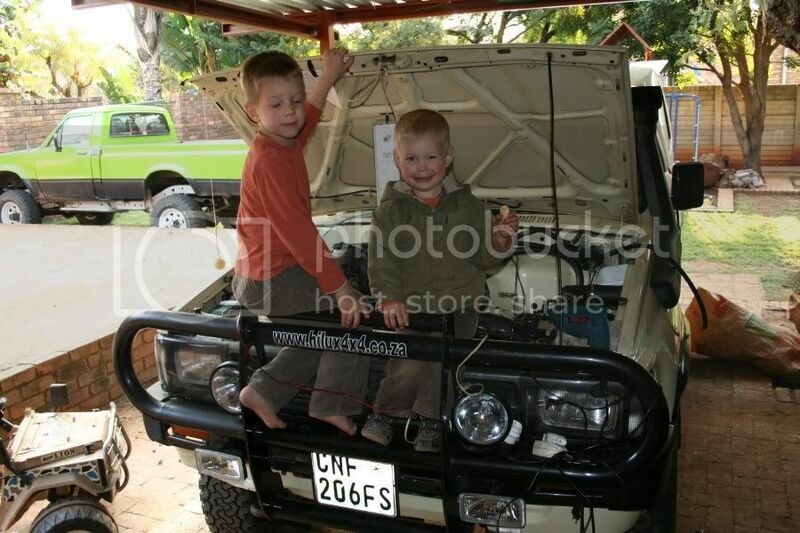 I made 2 brackets, the first one is to mount the ICV on and the second for the accelartor cable. Since the original one was missing and I had to make one in any case I decided to sommer extend it a little bit so that we could mount the existing cable's outer on it. Now we only need a longer inner and we can keep the outer so a new cable would be cheaper this way. 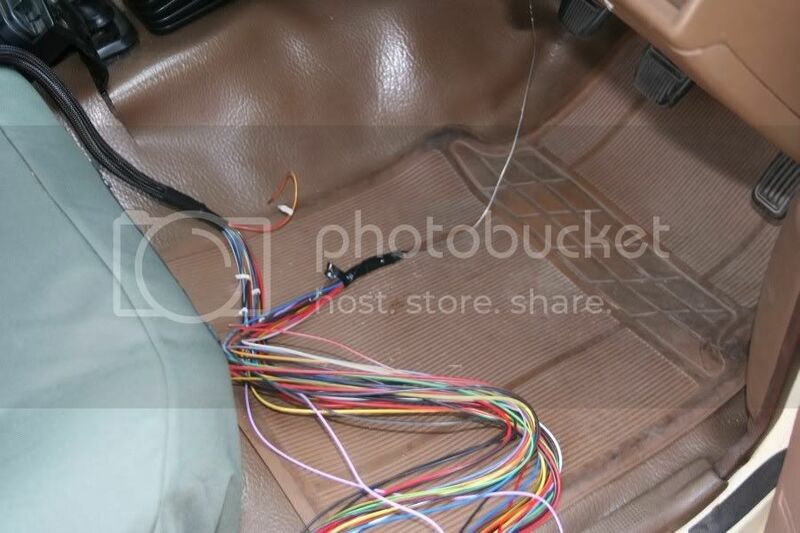 Ja and I know the cable is still connected via a wire, but I promise you sitting in the car you would not notice it from its operation. See the wiring run out of harms way. 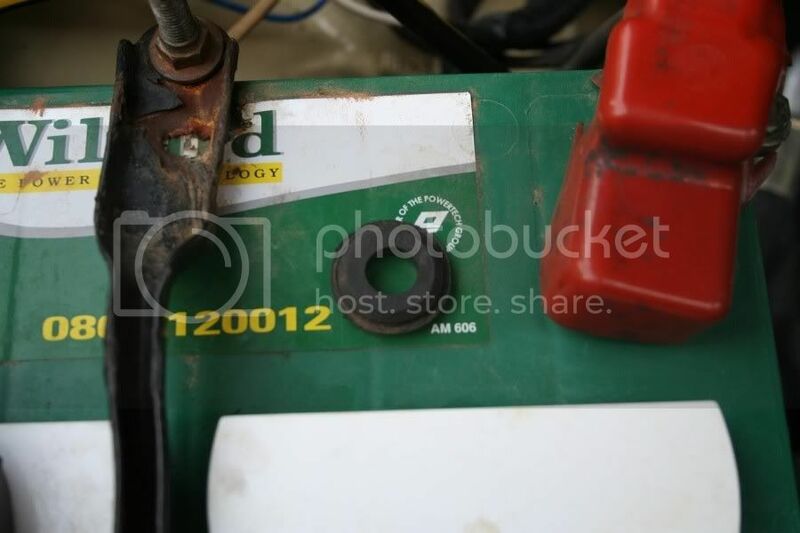 Since Johan so kindly donated his old Nikki and fuel pump to the Fix Old Limey foundation, I made this blank plate to cover the hole where the fuel pump normally fits. 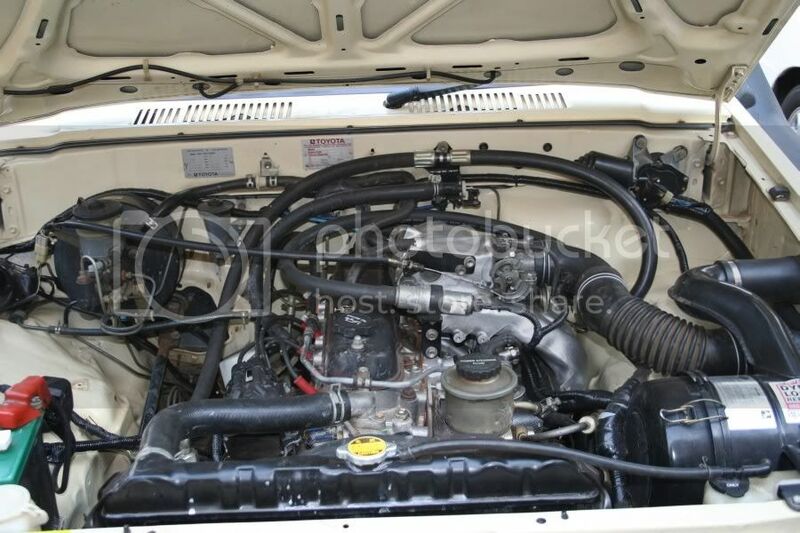 Lastly a view of the complete engine bay. Ps......... 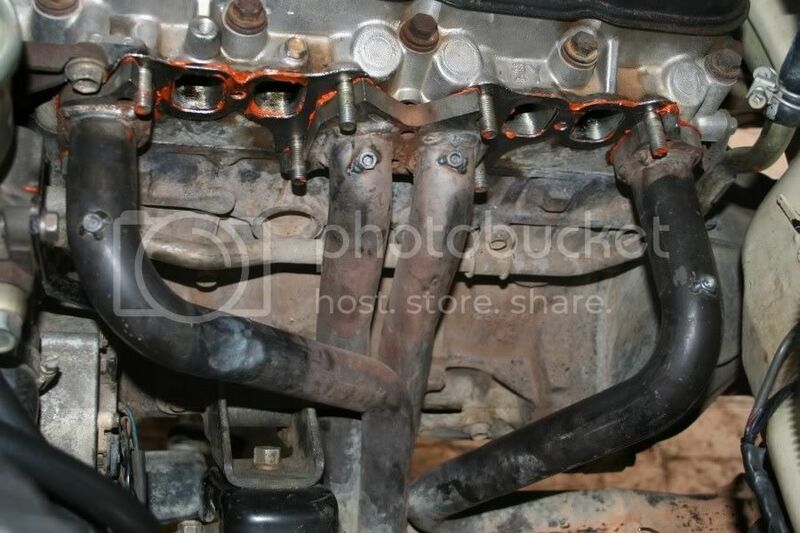 I've been sat here wondering "why so many hoses" :? 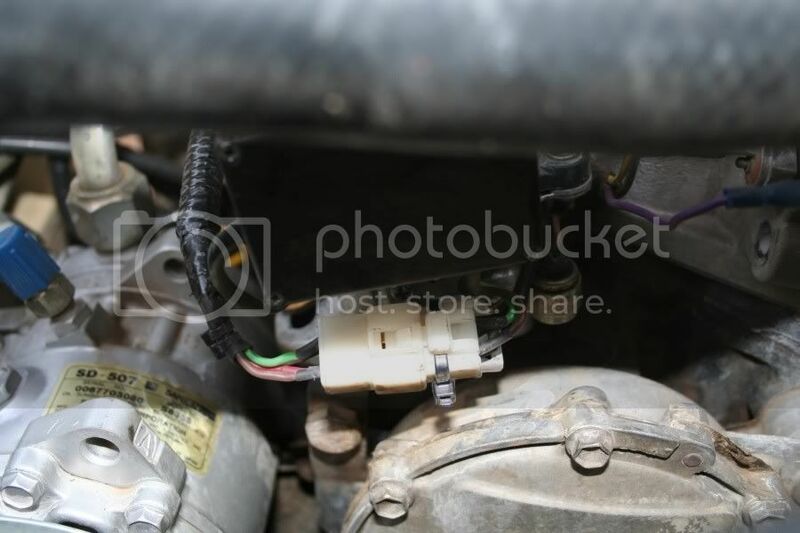 Then I realised, ITS FOR THE AIRCON - sadly my Aircon was "removed by a previous owner's mechanic"
Bennie and I made a new cable today to replace the once that is standard and to short. 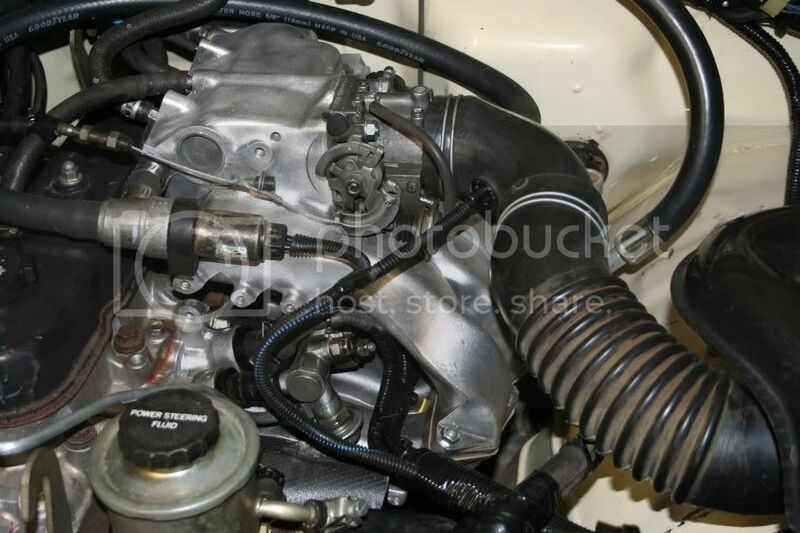 I will post at a later stage the pictures, after I have cleaned the engine nicely as we went playing today at Mahem with it to see what it feels like offroad. Congrats on the lung transplant! Looking forward to Bennie getting his hands on mine! 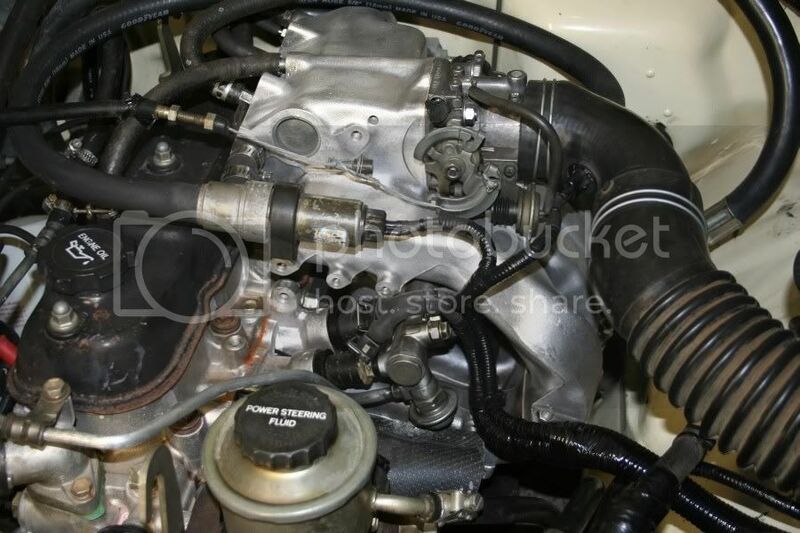 I found it interesting that Bennie mentioned your BroSpeed engine was being over fueled by the carb. 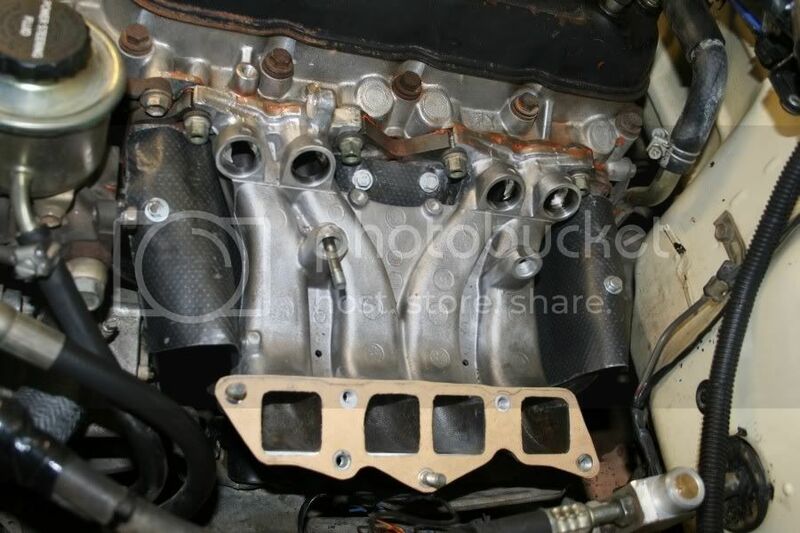 I too have a brospeed engine, head, cam, manifold ,exhaust and I have the same issue with the Nikki carb, which was re-jetted after the BroSpeed engine was put in. Hey Dadz Toy, like I say to my son 'It's only 1 more sleep' (if you sleep) till the arrival of Bennie Hurter, the Blou Bul EFI guru! 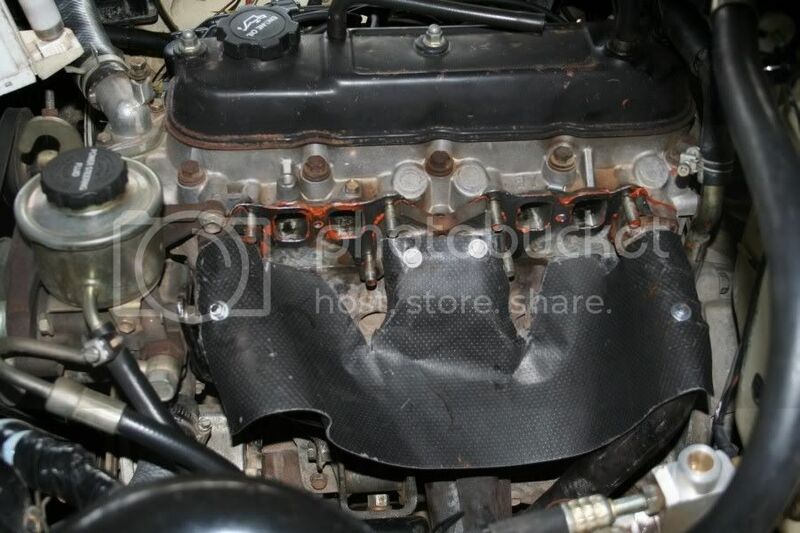 Yes the carb was running very rich with bigger than required jets in it, thus overfueling the engine. The conversion is worth it in every way!!! After months of browsing for info on installing EFI on my 4y, I now came across this one. 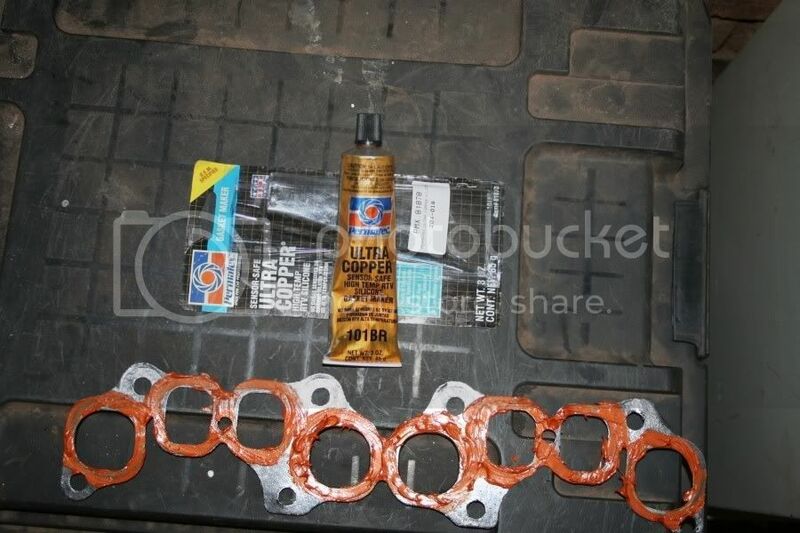 This can DEFINATELY be made into a sticky for us "mechanically challenged" people looking for a nice how to!!! And a "Sticky" it now is! Wie is BenHur en waar is hy? Die ou het lanklaas ingelog..... Lyk of hy baie kennis dra van Hiluxe. Talk to Louis at 4x4 Megaworld in Pta. He will be your best bet.